Xiaomi is really in their golden time. The Chinese company is expanding their wings into various industries. After successfully shaking the smartphone market, now Xiaomi is trying to do the same in the photography world. 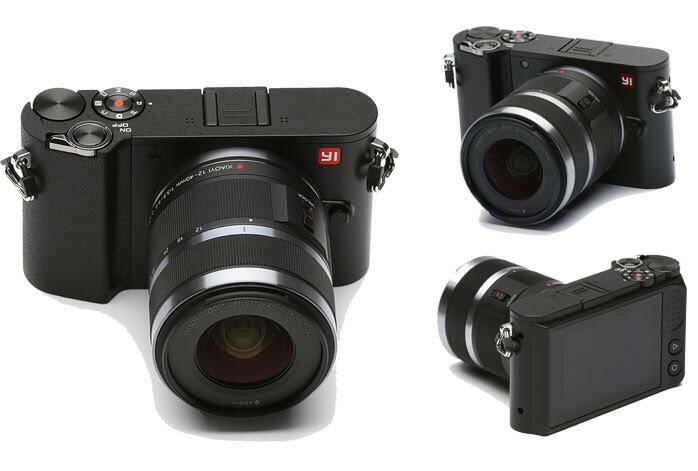 They have just released YI M1, their first ever mirrorless digital camera product. And, oh my gosh, what an awesome camera it is! Available at a very affordable and budget-friendly price point, it looks elegant and stylish, and is coming with various attractive specifications and features. It even supports 4K Ultra HD video recording already! YI M1 is available in two color variants, Ice Silver and Storm Black. The body has been designed to be minimalist, smooth and uncluttered, for easy and practical operation as well as effortless storage and travel. On the rear, you can find a 3.0-inch high-res touchscreen display with just two function buttons to keep it simple. Meanwhile, the housing is made of the lightweight and skin-friendly Arnitel thermoplastic material. It indeed feels comfortable on the skin, so it is very much not likely to tire or irritate your palms in prolonged photo hunting sessions. It is reasonably rugged, but, if I were you, I wouldn’t try dropping it from the top of Eiffel Tower. I wouldn’t also use it in a storm because it is not environmentally sealed. Despite the affordability, you may be surprised that YI M1 has been armed with the latest 20MP four-thirds Sony IMAX269 image sensor which supports ISO up to 25600. Combined with the decent 1/4000s maximum shutter speed, YI M1 has got some power that any photographer will certainly value. It even supports 4K Ultra HD video recording with crisp, clear images and smooth, fluid movements. Or, you can try the 240-fps slow motion video for your creative projects. In addition, YI M1 comes with an 81-point AF system that is quite fast and reliable. The AF system also supports face detection and is able to detect up to 32 faces simultaneously. Furthermore, there are also AE Bracketing and WB Bracketing features, which are very handy for HDR and landscape photography. Another great thing about YI M1 is that it comes with an interchangeable lens system. You can choose to get YI M1 along with the 12-40mm F/3.5-5.6 lens and/or the 42.5mm F/1.8 lens. To fill up your weaponry, there are over 50 lenses compatible with YI M1 that you can get from the market. So, you can have the fullest extent of flexibility and versatility of a mirrorless digital camera with YI M1. The camera comes with built-in Wi-Fi and Bluetooth for easy, seamless connectivity. – Very affordable and budget-friendly price! Check the best price for YI M1 here!